Was May really only three months ago? I'm flabbergasted. Time becomes such a weird thing when you're an adult. Things can seem so long ago, while simultaneously feeling like yesterday. Well, anyways - since it's been three months since May, it's time for a 101 in 1001 update (again)! My end date is in February of 2019, so I've got about a year and a half left on this bad boy (then I'll probably do it all over again, but who doesn't love checking things off their goal/to-do list?). 1. Travel to five new places (at least two new states). A trip is in the works for September! 28. Try 10 new restaurants. I've added Moe's BBQ, Pita Pit, and Brown Dog Deli to this list, so I'm officially over 10 new restaurants. 71. Increase my Bloglovin' following to 200. (62/200) An increase of three new followers since May, pitiful. 72. Develop a partnership with or become an ambassador for a reputable company. Completed 5/15/17. Became partner/collaborator with AOL for the AOL Entertainment Collective. More info to come soon! Sadly, AOL Entertainment Collective disbanded. 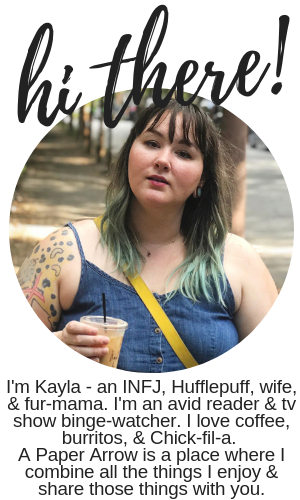 However, I regularly work with companies via Social Fabric, partner with several book publishers and Booksparks, am an ambassador for FitSnack, and work with other companies throughout the year, so I'd say I'm still okay here. 75. Read all the books I already own that I haven't read yet. (See my list of these books here.) I've been reading a lot of new releases, but I have marked one off this list - The Cuckoo's Calling. 78. Complete a reading challenge each year. I've been working on my 2017 challenge, and I'm making a lot of great progress! 92. Take a two-year anniversary trip. Our trip is booked for next month! 95. Do at least six random acts of kindness each year. This one is a weird one, because while it's an obtainable goal, this isn't something I keep track of. I have made progress on this, however. 99. Complete my Master's degree in Student Affairs/Counseling with a 3.5 or higher GPA. This is still in progress, but I've successfully completed my first year (eight courses) with mostly As (only one B). I have six courses left (including the one I'm currently enrolled in). I won't complete this by February 2019, because I've decided to only do part-time classes (and also most of the classes interfere with my work schedule). I should obtain my degree in May 2019. 100. Move into a higher position in my career. I haven't officially announced this yet, but I accepted a role as an academic advisor (my dream job! ), so I'll be in the same career field I'm currently in, but I'm taking a step up into a more prestigious role, as of September 1. Doing these updates is so wonderful, because I really thought I hadn't accomplished much towards my goals. While I only fully marked off two new goals, I did make progress on several others, which is encouraging. I'd love to cheer you on! 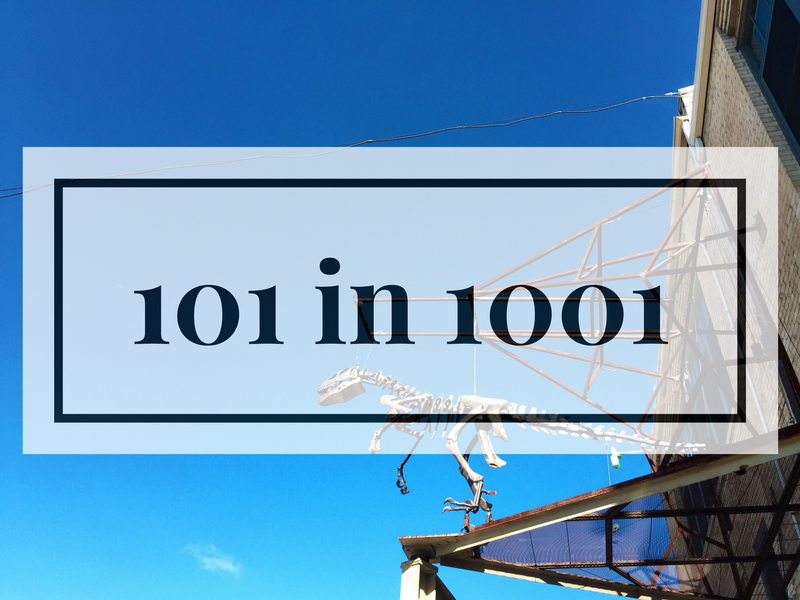 Share your 101 in 1001 or goals in the comments, so I can take a look.